1967 - Dr. Charles Mercieca, Professor of Philosophy and Political Science at the Alabama Agricultural and Mechanical (A&M) University in Huntsville, Alabama, discusses in several Latin American Universities different ways and plans to bring unity between the people of North and South America. 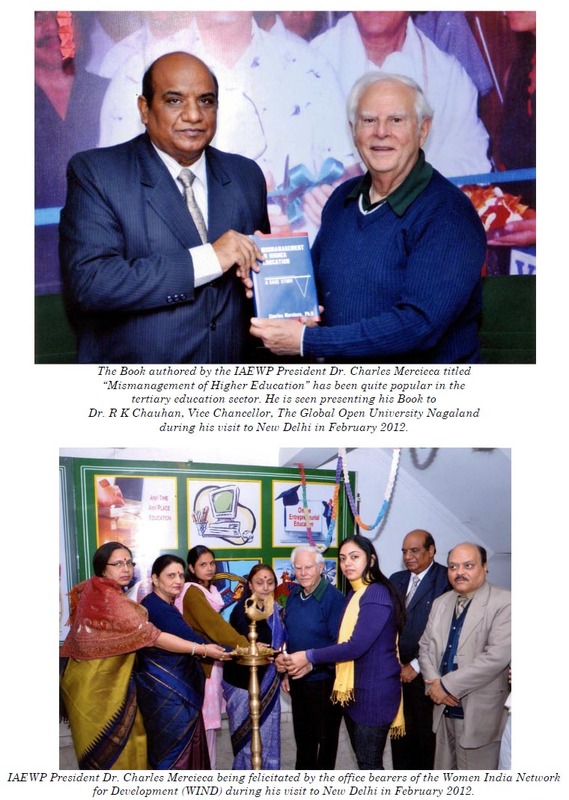 1968 - Dr. Charles Mercieca embarks on a world-wide lecturing tour across every continent to explore the teachers' interest in the promotion of the international understanding and world peace through education. 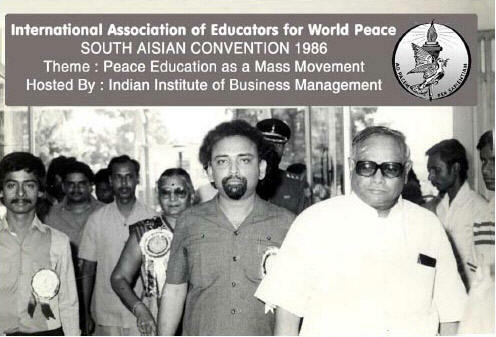 1969 - A Conference of World Educators takes place in Huntsville, Alabama which is followed by the official establishment of the International Association of Educators for World Peace (IAEWP) which becomes incorporated by the State of Alabama shortly afterwards. 1970 - A Founding Session takes place in Oslo, Norway, where the IAEWPs’ Charter and the Bye-laws are ratified. The same year the US Department of Treasury rules that the International Association of Educators for World Peace (IAEWP) "is tax exempt for Federal Income Tax under Section 501 (c) (3) of the Internal Revenue Code." 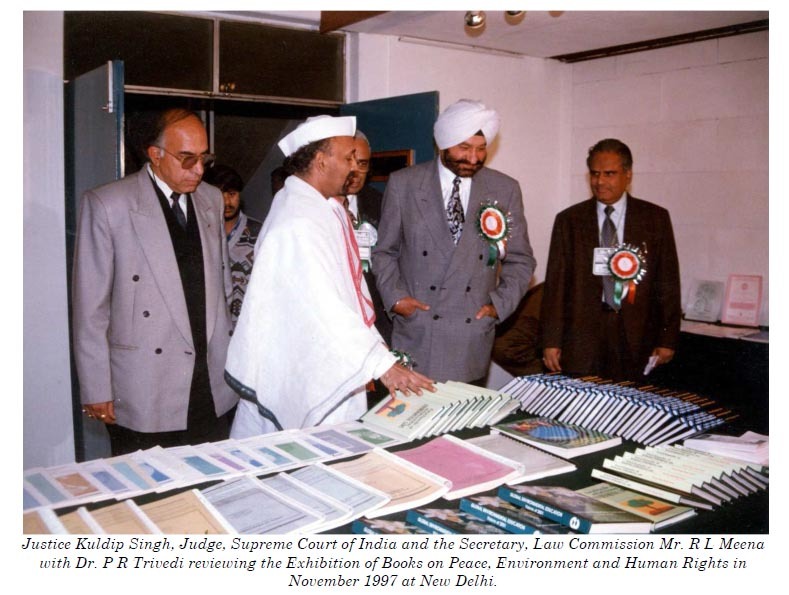 1971 - An European Convention takes place in London, England and specifies that the major goals of IAEWP may be summarized as follows: 1) promotion of international understanding and world peace through education; 2) protection of the environment from any form of pollution; 3) protection of human rights; 4) diffusion of world-wide disarmament; 5) development of human resources for positive and constructive purposes. 1972 - Continental Conventions take place in Chicago for the delegates from North and South America, in Odense for the European countries, and in Bangkok for Asian countries. 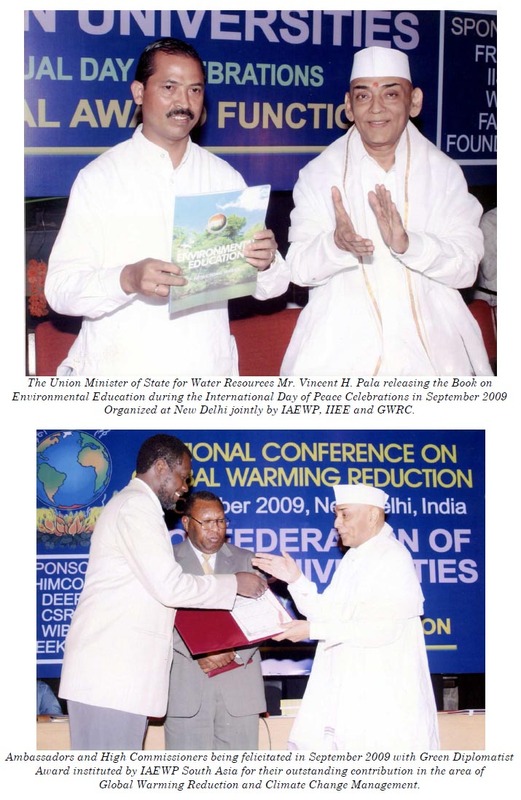 The proceedings were printed in book-form and widely circulated. 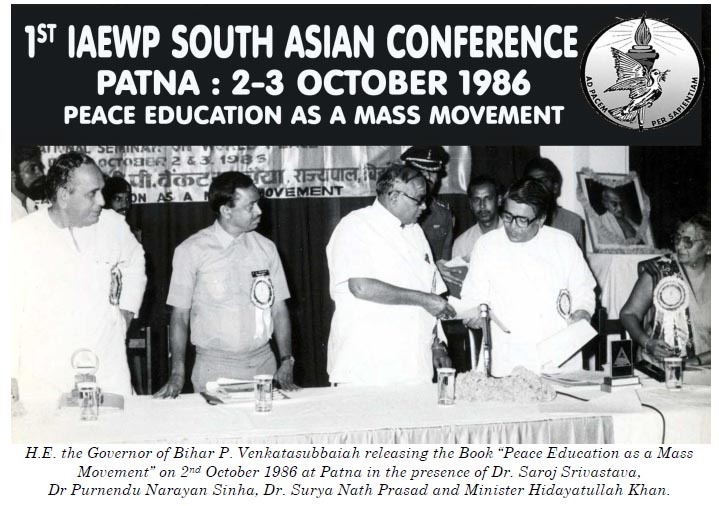 1973 - A General Chapter meeting takes place in Huntsville, Alabama in preparation for the IAEWP First World Congress the following year on the topic: Peace Education Studies. 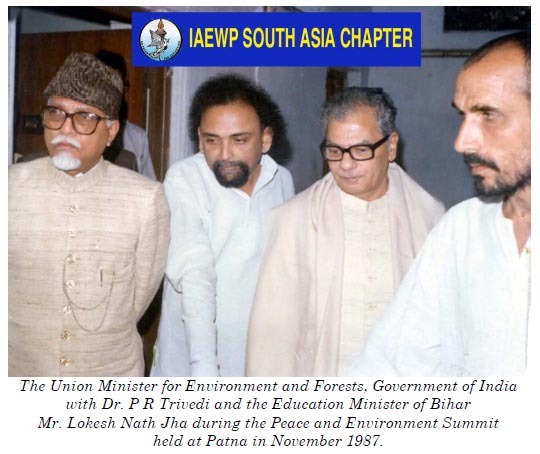 1974 - The IAEWP First World Congress takes place in Bucharest, Romania which is attended by over 800 participants from around the world. 1975 - A Continental Convention for the African countries takes place in Iperu Remo, Nigeria to discuss the problems facing Africa with a focus on world hunger and housing facilities. 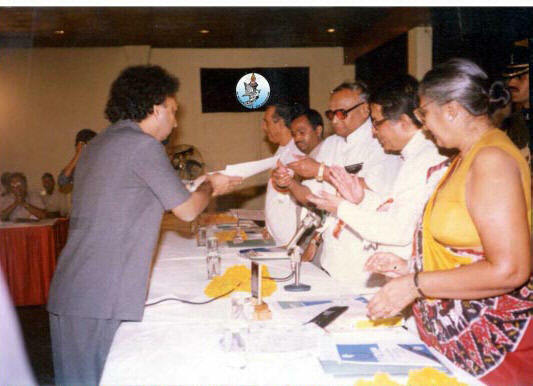 1976 - A Second Continental Convention for the Continent of Asia takes place in Sendai, Japan. 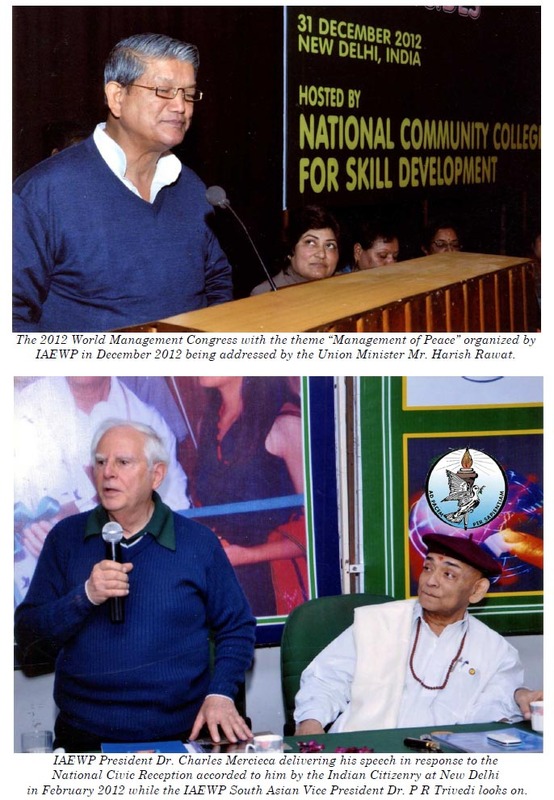 The focus is made on Education of Minorities. 1977 - The IAEWP in conjunction with NASA officials, celebrates in Huntsville, Alabama the US the twentieth anniversary in peace space venture through a national convention. 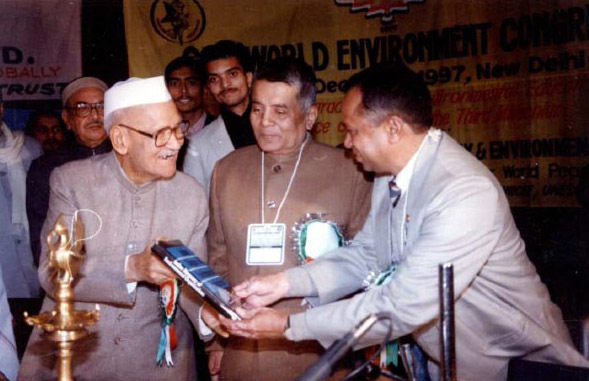 1978 - The IAEWP Second World Congress takes place in Varanasi, India which brings over 500 participants from different continents. 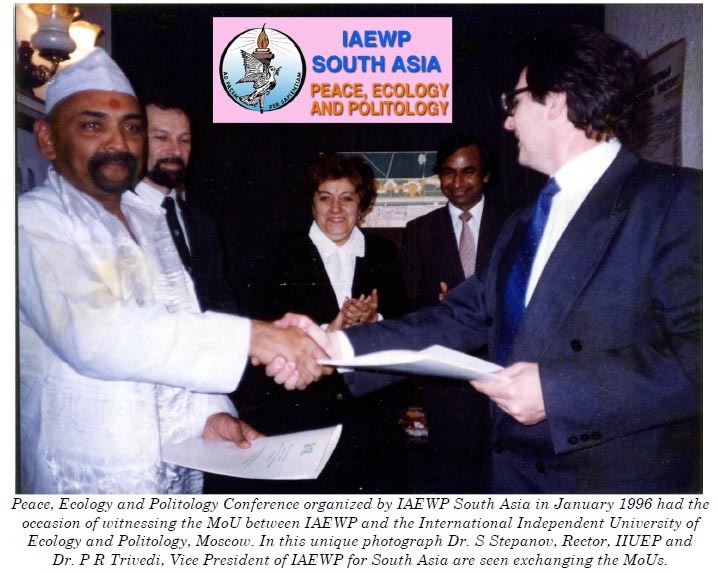 1979 - The IAEWP participates in an International Conference on World Government in Colombo, Sri Lanka to explore ways of bringing about a permanent peace in the world. 1980 - A Continental Convention for Latin American countries took place in Bogota, Colombia. During this same year the IAEWP participates in the UN Conference in Caracas, Venezuela on Crime Prevention Strategies. 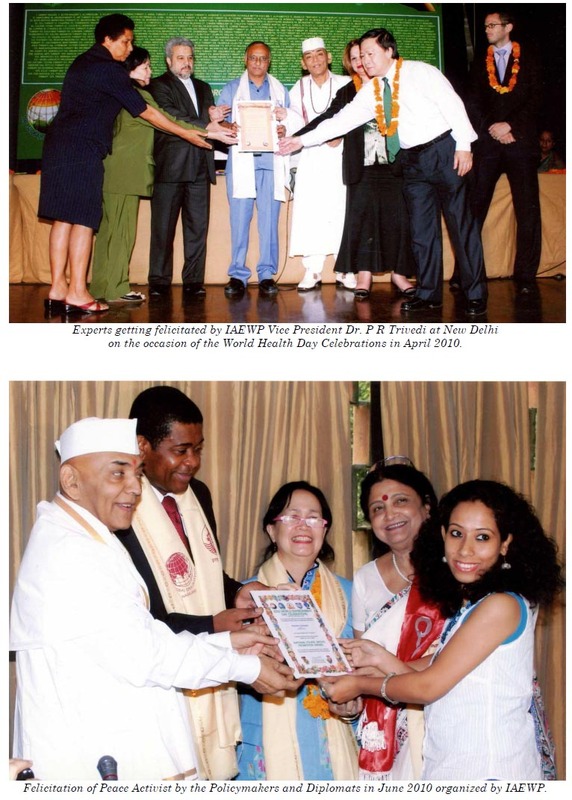 1981 - A Continental Convention takes place in Accra, Ghana for the African countries, attended mostly by western African countries to help solve the problem of World Hunger. 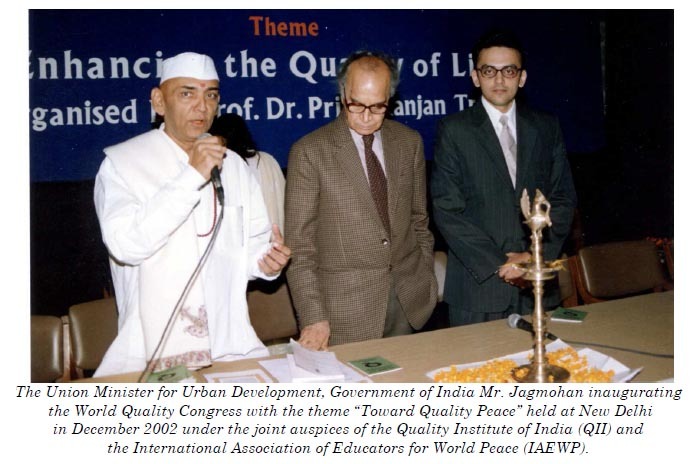 1982 - The IAEWP Third World Congress takes place in Washington DC which sets up Peace Education Programs for insertion in school curricula at both the elementary and the secondary levels on both the national and international scale. 1983 - A Continental Convention takes place in Odense, Denmark. 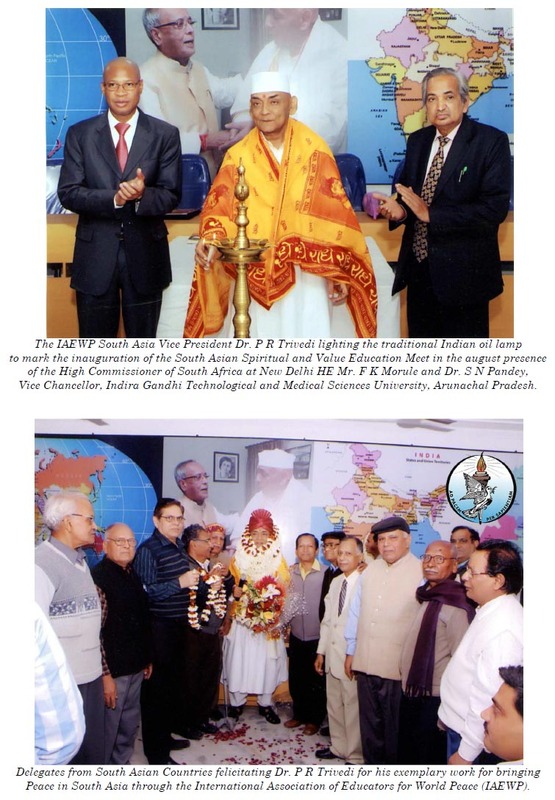 The proceedings are published and widely distributed in selected universities of different continents. 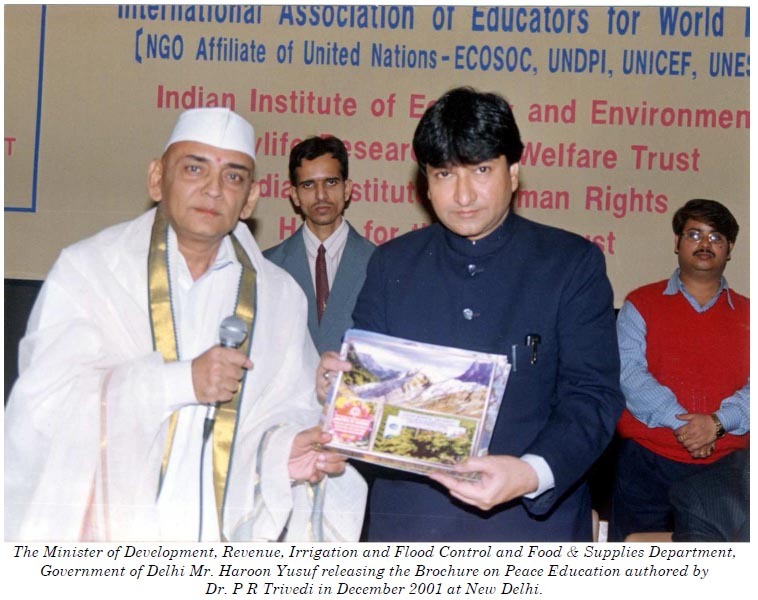 The focus is made on Varieties of Peace Education. 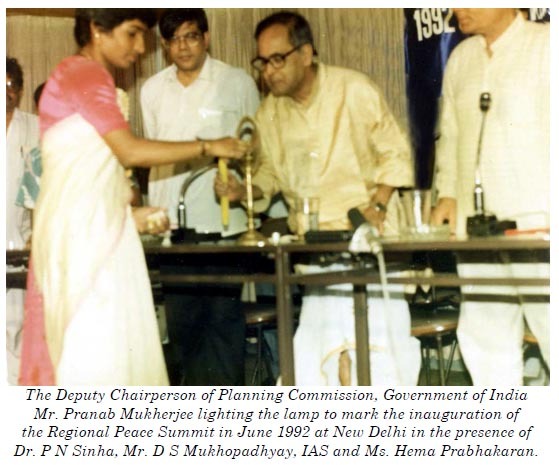 1984 - A National Conference is organized in India which brings educators together from all Indian States and Union Territories. 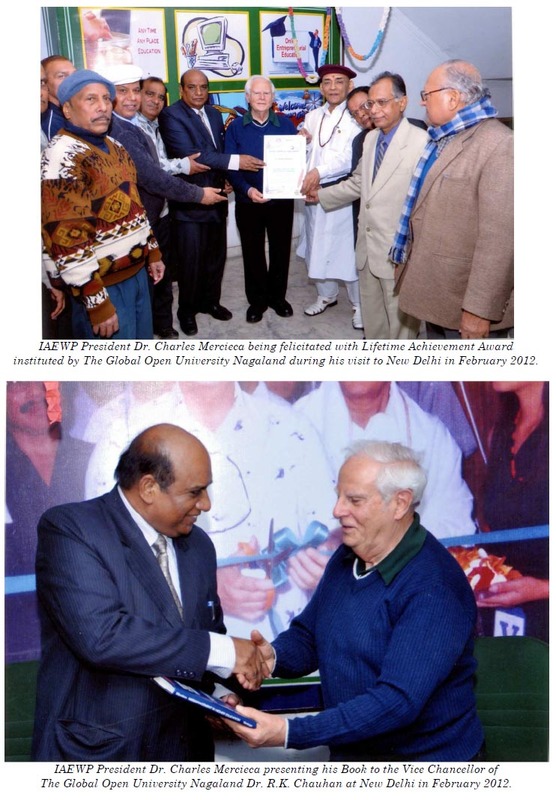 The focus is made on Adequate Nourishment and Mental Health. 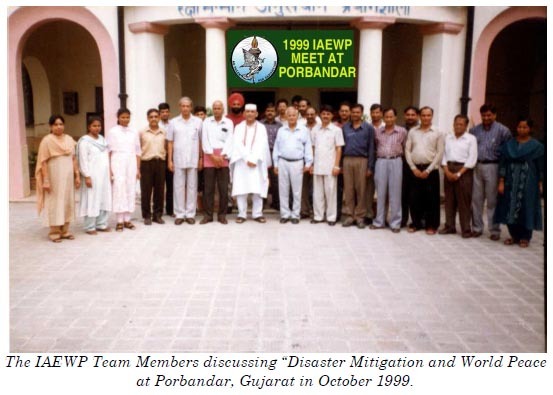 1985 - A General Chapter meeting takes place in Huntsville, Alabama to prepare for the IAEWP Fourth World Congress the following year. 1986 - The IAEWP Fourth World Congress takes place in Innsbruck, Austria with several participants coming from Eastern European countries. 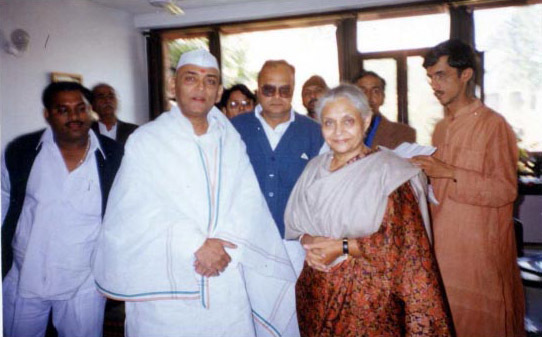 The future collapse of the communist system is foreseen coming through peaceful means. 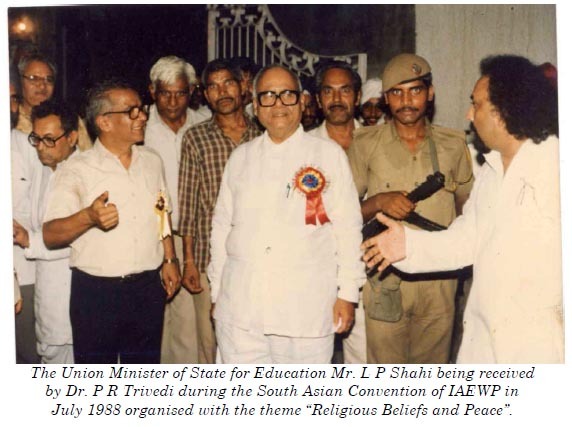 1986 - The IAEWP formally launches the South Asian Chapter viewing the inception of South Asian Association for Regional Cooperation (SAARC) and organizes the South Asian Convention of IAEWP with the theme “Peace Education as a Mass Movement”. 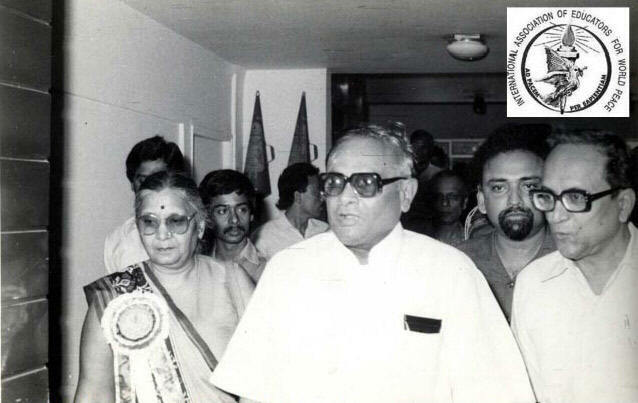 1987 - National Conventions take place in several countries like Nigeria, India, Romania, and the United States. 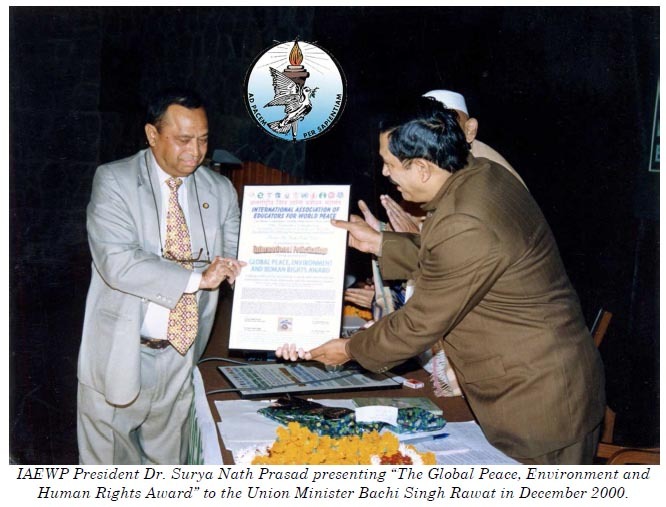 The UN Secretary General, on behalf of the UN General Assembly designates the International Association of Educators for World Peace as Peace Messenger of the World. 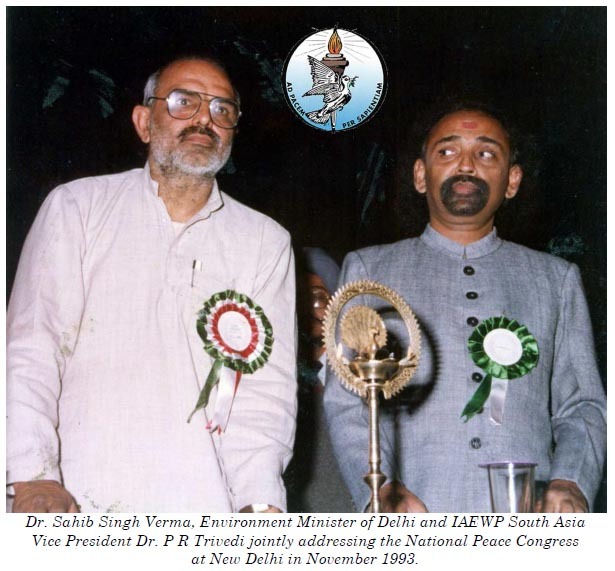 1987 - The South Asian Conference of IAEWP is organized at New Delhi with the theme “Peace as an Occurrence of Harmony” attended by the delegates from many SAARC countries. 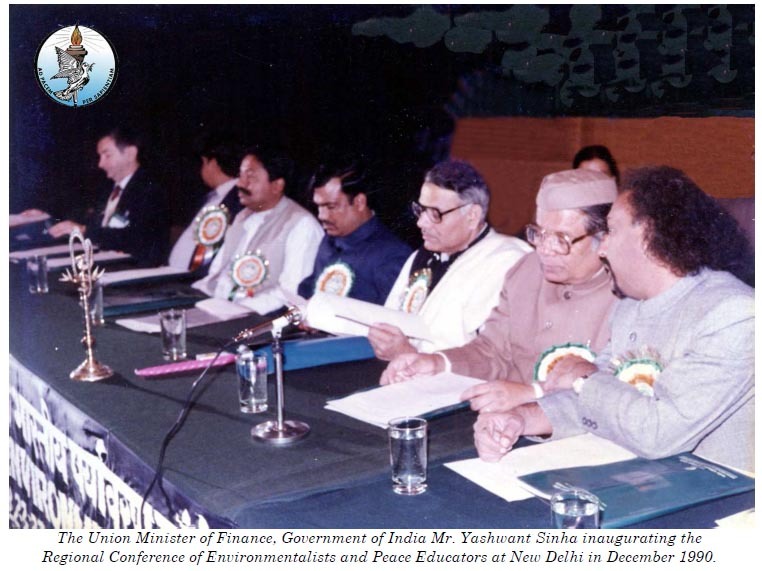 1987 – The South Asian Peace and Environment Summit was held in November 1987 at Patna with the theme “Peace and Environment”. 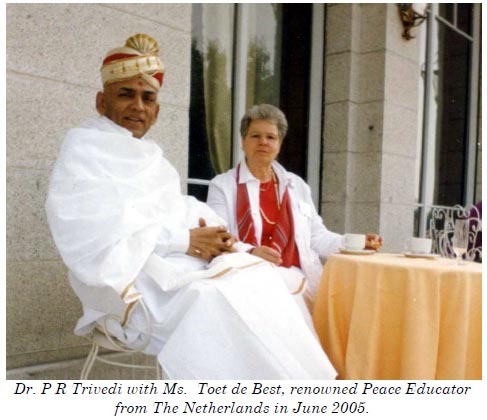 1988 - The Concept of Peace Education in Schools as a Pilot Project, which is initiated successfully in Romania in the early seventies, is promoted by IAEWP members in several countries. 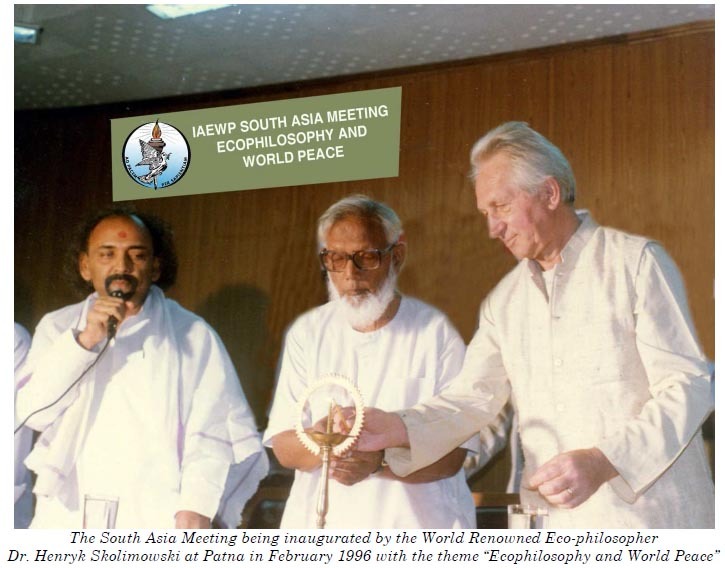 1988 - The IAEWP South Asia Chapter organizes the South Asian Convention of IAEWP at New Delhi with the theme “Religious Beliefs and Peace” attended by the eminent religious leaders and spiritualists. 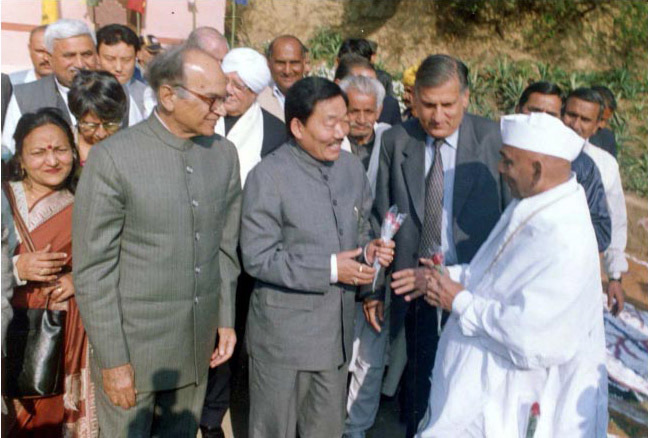 1989 - Several Chinese Citizenry in the People's Republic of China become interested in the IAEWP and search for ways to promote prosperity in China through democratic means. 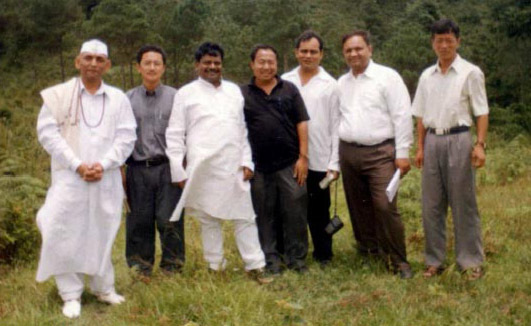 Discussions are held, in this regard, in Guangzhou, Hangzhou and Beijing. 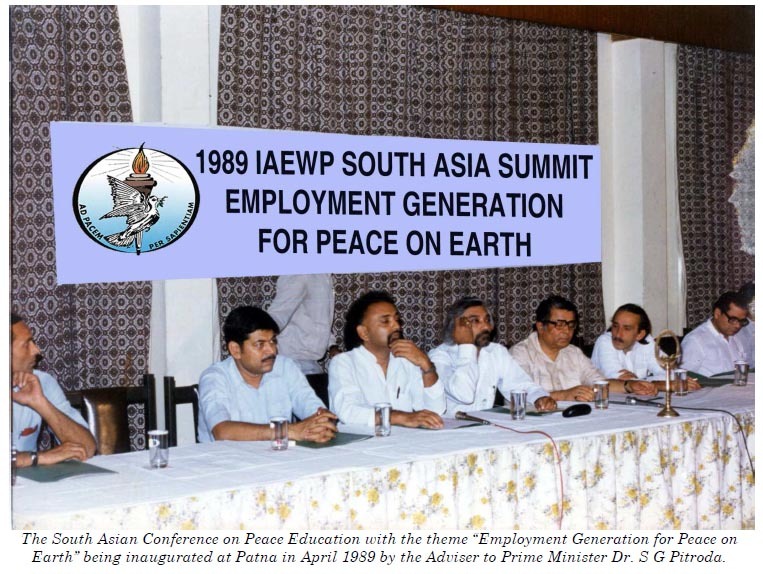 1989 - The South Asian Chapter of IAEWP organizes South Asian Congress on Peace Education with the theme “Peace of Mind, Serenity and Calmness” at New Delhi. 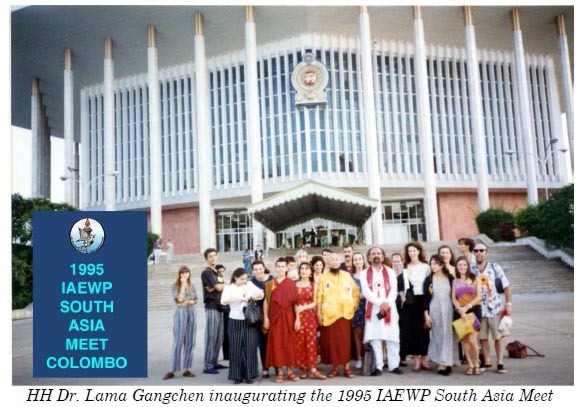 1990 - The IAEWP Fifth World Congress takes place in Seoul, Korea in conjunction with the World Fellowship of Buddhists' Conference. A delegation is sent to Panama, El Salvador and Guatemala to explore implementing the Peace Education in Schools Pilot Projects there. 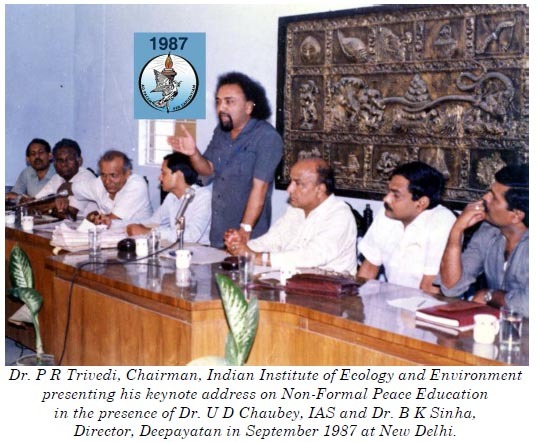 1990 - The South Asian Chapter of IAEWP convenes the Regional Conference of Environmentalists and Peace Educators at New Delhi with the theme “Environment and Peace Education for the Third Millennium”. 1991 - High officials of the Government in El Salvador discuss with IAEWP officials the implementation of the Peace Education Pilot Project in Schools in Central America. 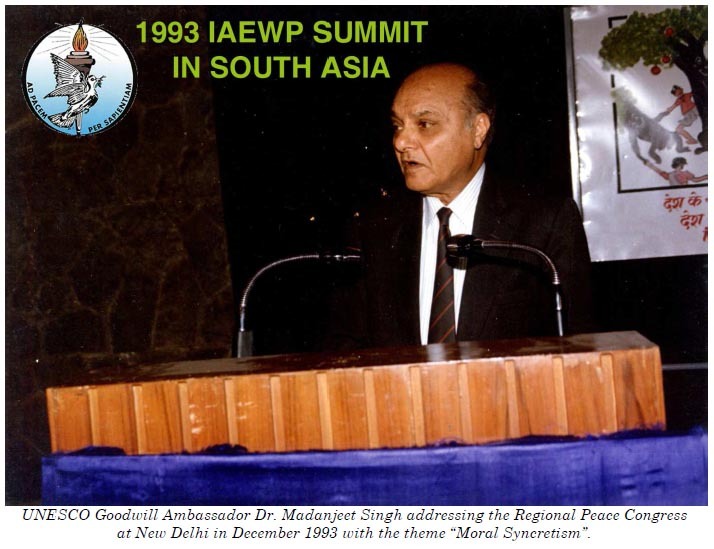 1991 - The IAEWP South Asian Chapter organizes the South Asian Convention at New Delhi with the theme “Measuring and Ranking Peace”. 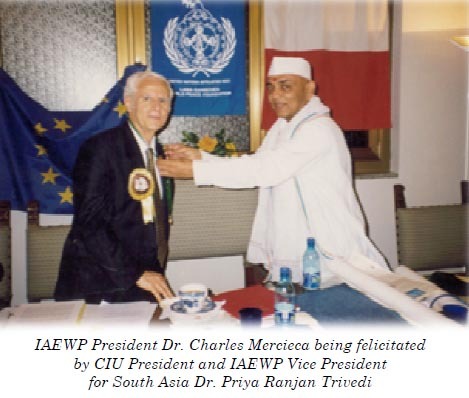 1992 - The IAEWP Sixth World Congress takes place in Malta, the country where US President George H.W. Bush and Soviet President Mikhail Gorbachev discussed disarmament and peace. 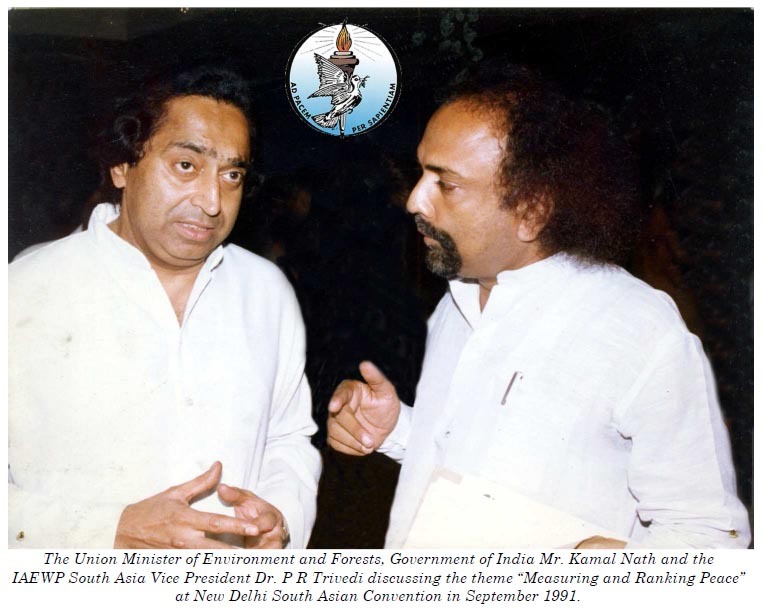 1992 - The IAEWP South Asian Chapter organizes the Regional Peace Summit at New Delhi with the theme “Creative Peacebuilding” to mark the Earth Summit held the same year at Rio de Janeiro, Brazil. 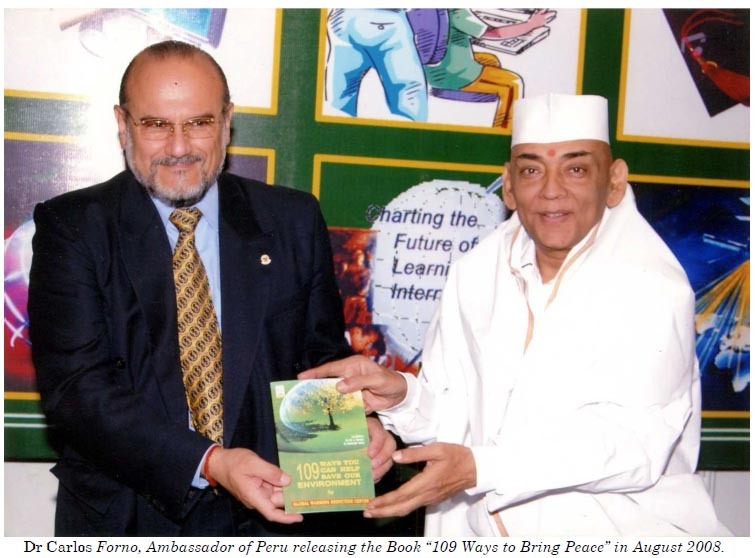 1993 - Dr. Charles Mercieca, Executive Vice President, spends six months in Russia to implement the Peace Education Pilot Project in Schools in the foreseeable future. 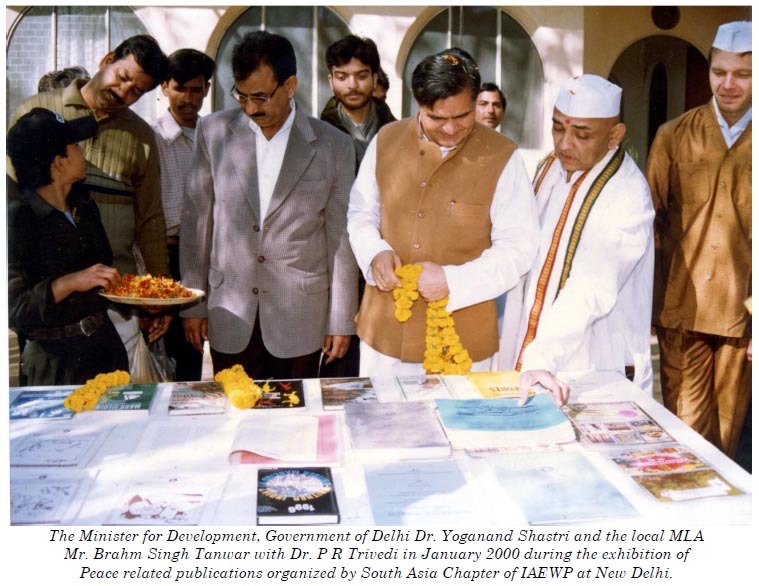 1993 - The IAEWP South Asian Chapter organizes the IAEWP Regional Peace Congress at New Delhi with the theme “Moral Syncretism”. 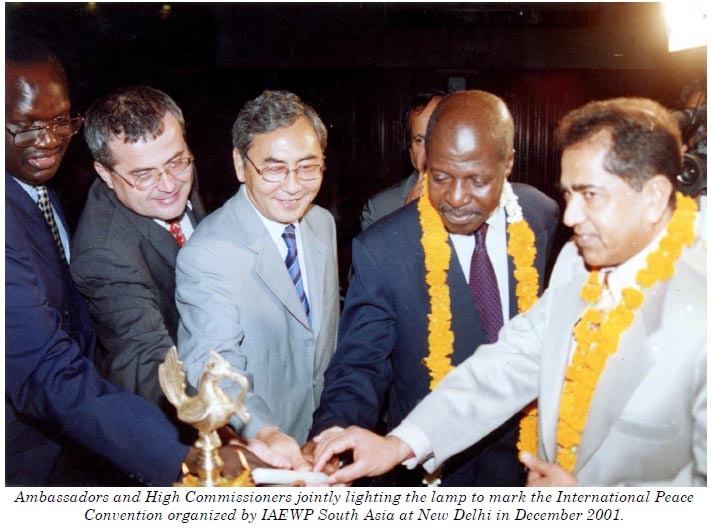 1994 - IAEWP Seventh World Congress takes place in St. Petersburg, to help bring about needed educational reforms in an effort to create a twenty first century peaceful society. 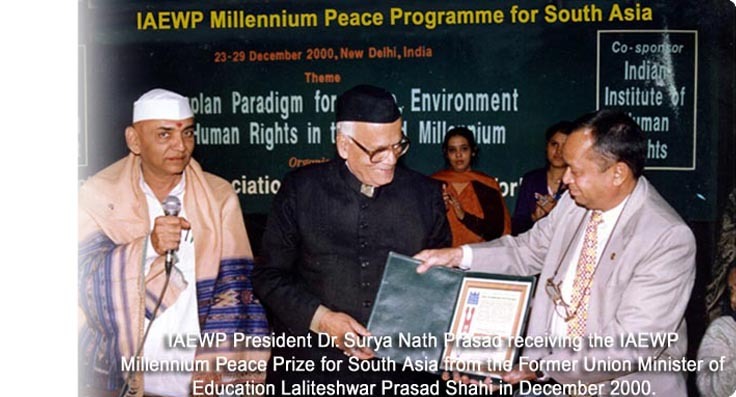 1994 - The IAEWP South Asian Chapter organizes the South Asian Peace Summit with the theme “Peace Journalism”. 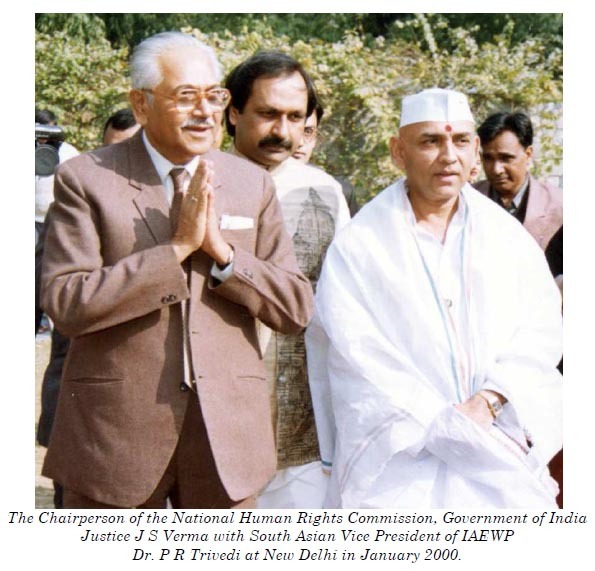 1995 - Several National Conventions take place in different countries following the example of India to improve and promote peace education projects and programs everywhere. 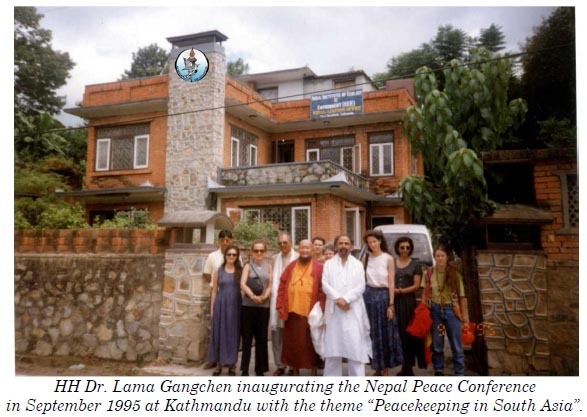 1995 - The IAEWP South Asian Chapter organizes the Nepal Peace Conference at Kathmandu, Nepal in collaboration with Lama Gangchen World Peace Foundation, Italy with the theme “Peacekeeping in South Asia”. 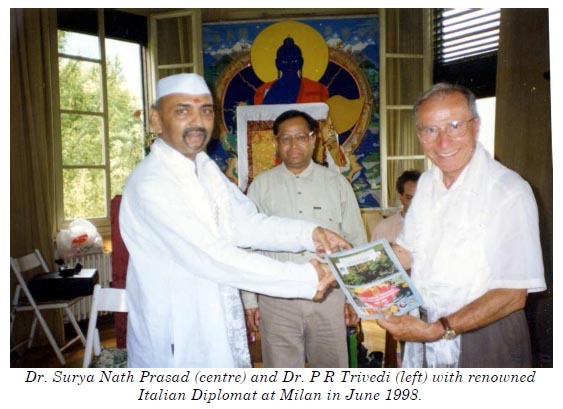 in November 1995 at Colombo with the theme “Holistic Medicine for Peace” in the presence of Dr. P R Trivedi and other delegates. 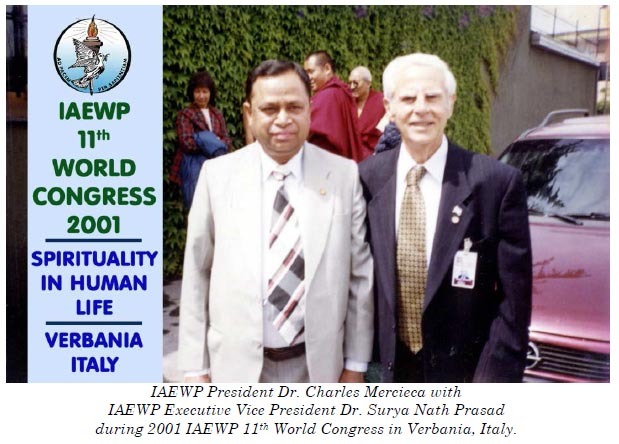 1996 - IAEWP Eight World Congress takes place in Split, Croatia to set groundwork for a twenty first century society that may be characterized by peace, prosperity and stability. 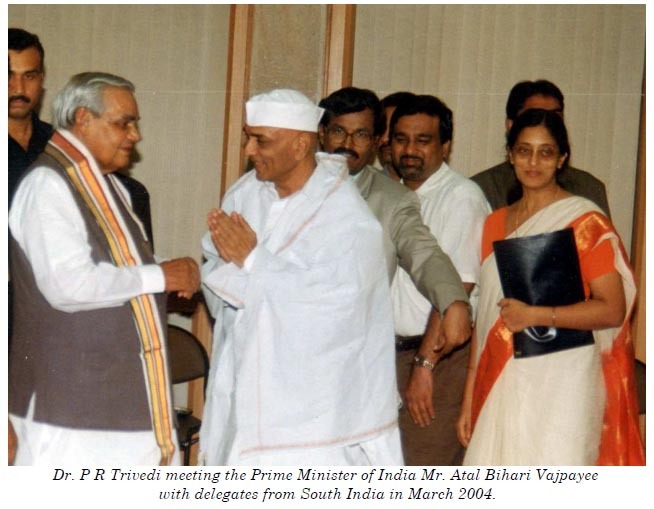 1996 - The IAEWP South Asian Chapter organizes the Regional Peace Summit at New Delhi with the theme “Peace Activism”. 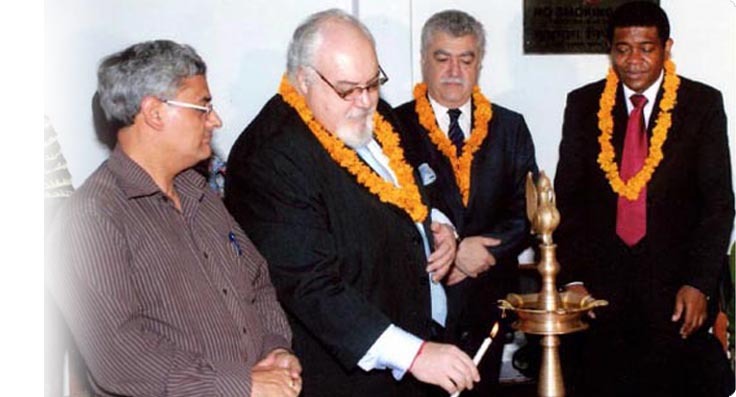 1997 - IAEWP Eurasian Peace Conference takes place in Turkey to enable institutions of learning at every level of education to use such institutions as instruments to world peace. 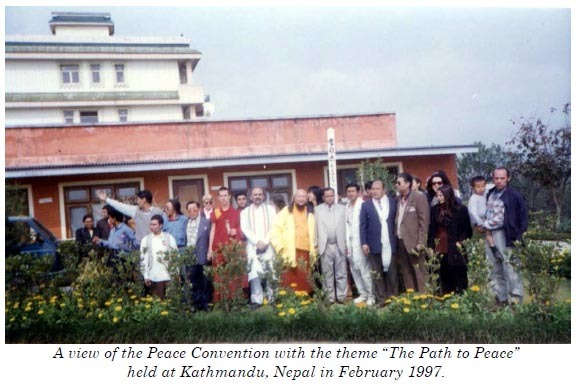 1997 - The IAEWP South Asian Chapter organizes the Peace Convention at Kathmandu, Nepal with the theme “The Path to Peace”. 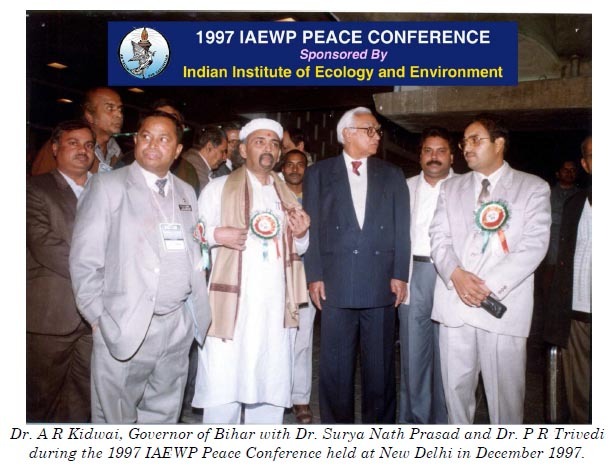 1998 - IAEWP Ninth World Congress takes place in Sao Paulo, Brazil to provide guidelines to the United Nations for the successful implementation of the United Nations peaceful objectives on a global scale. 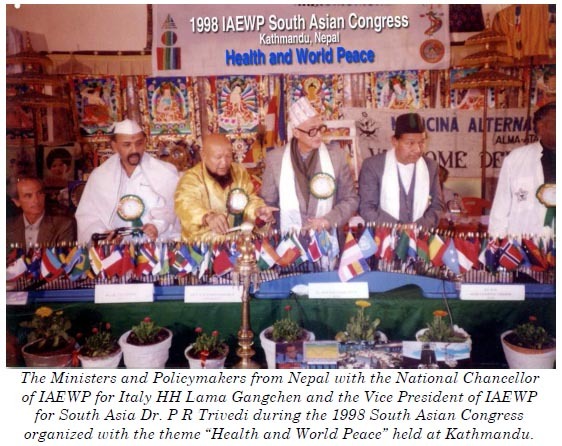 1998 – IAEWP South Asian Congress was organized at Kathmandu with the theme “Health and World Peace” in February 1998”. 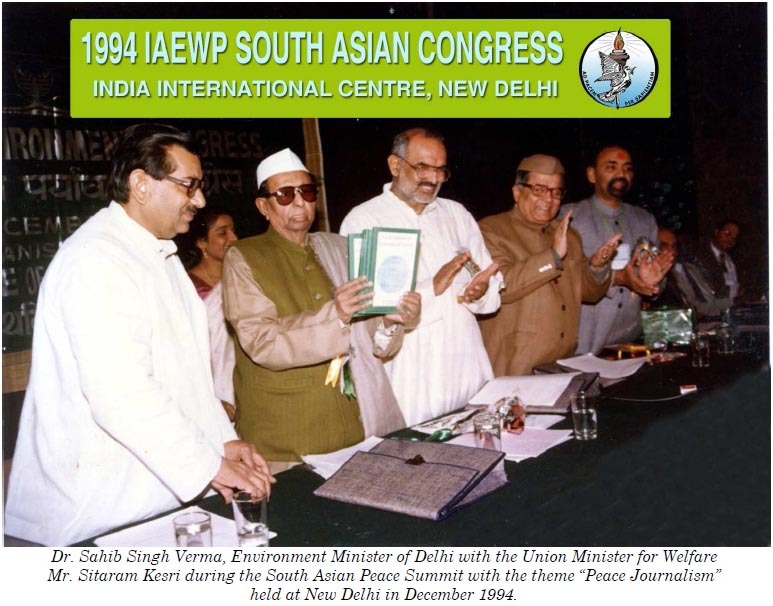 1998 - The IAEWP South Asian Chapter organizes the South Asian Meet at New Delhi with the theme “Peace, Bliss and Happiness”. 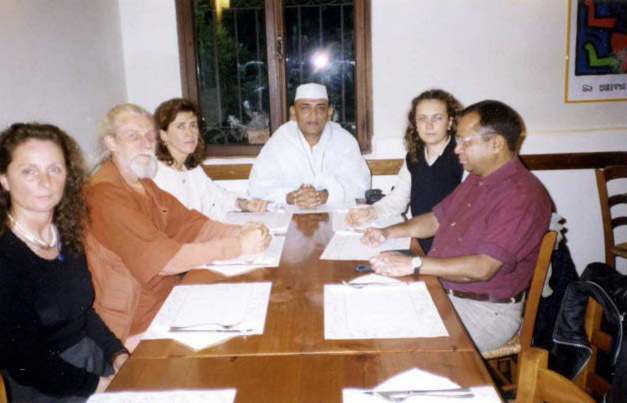 1999 - A National Convention takes place in Rio de Janeiro, Brazil, which brought several participants from overseas for purpose of celebrating together the transition from the 20th to the 21st century. 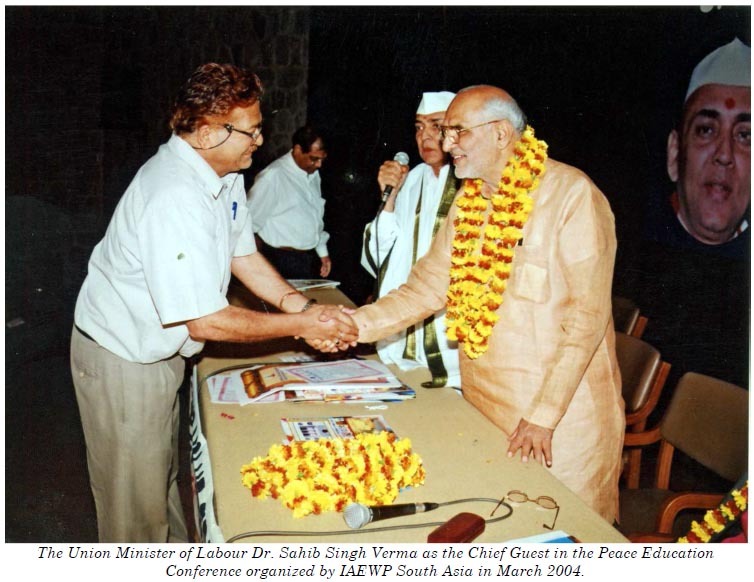 1999 - The IAEWP South Asian Chapter organizes the Millennium Peace Convention at New Delhi in association with different educational institutions with the theme “Peace and Non-Violent Restorative Justice”. 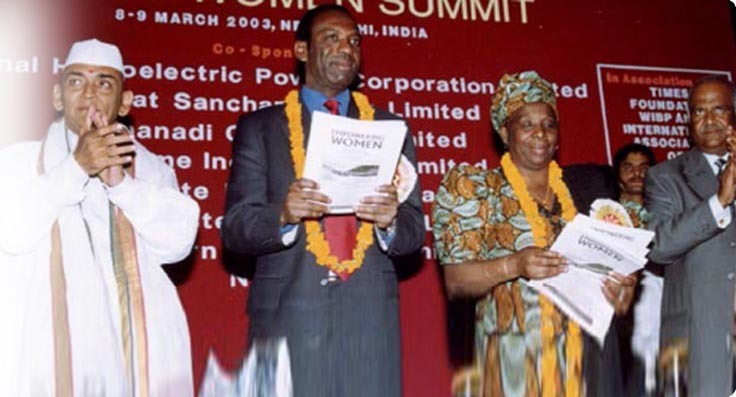 2000 - IAEWP Tenth World Congress takes place in London, United Kingdom, which brought several organizations together including the Women’s Organization of Germany. 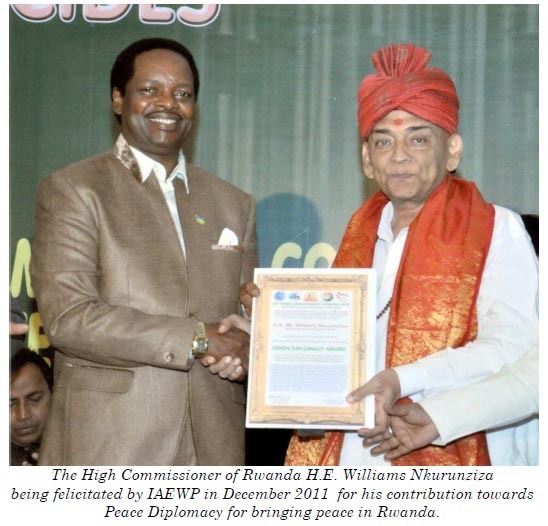 The topic was centered on using schools for purpose of promoting peace around the world. 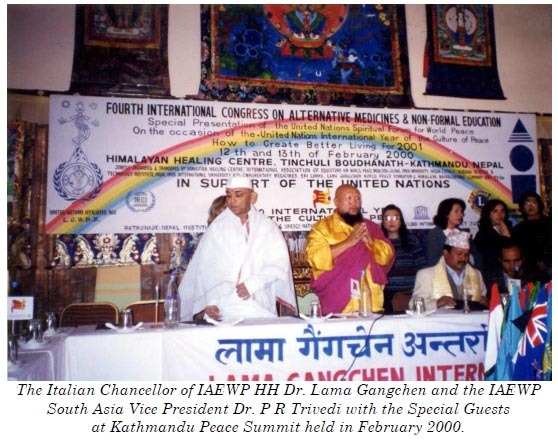 2000 – The Kathmandu Peace Summit was held in February 2000 at the Himalayan Healing Centre, Tinchuli, Arubari, Boudha, Kathmandu in the presence of the Italian Chancellor of IAEWP HH Dr. Lama Gangchen. 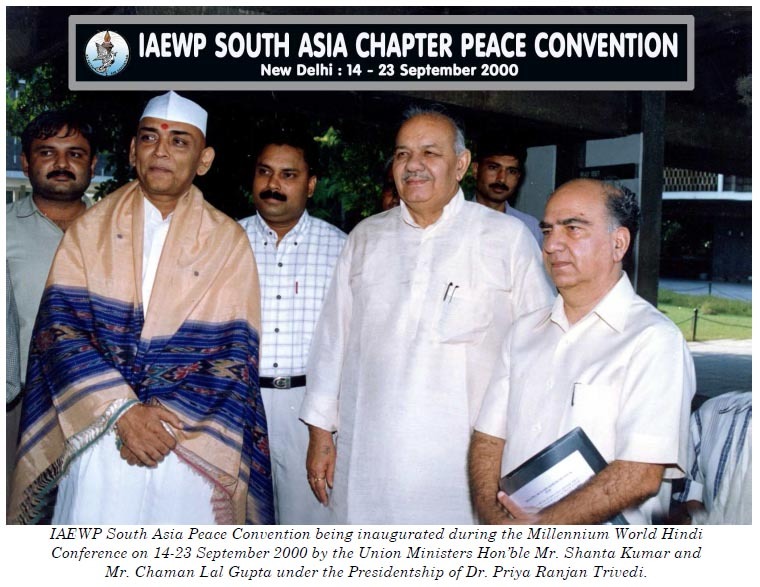 2000 - The IAEWP South Asian Chapter organizes the South Asia Peace Convention at New Delhi with the theme “Pacifism and Peace”. 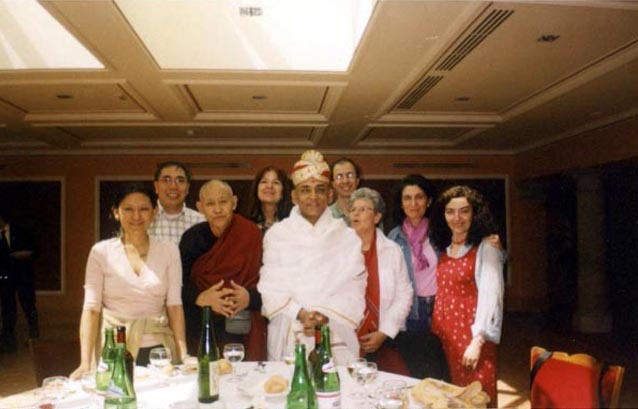 2001 - IAEWP Eleventh World Congress takes place in Verbania, Italy on the Lago Maggiore, which discussed the importance of spirituality in the human life. Participants represented from all the major continents. 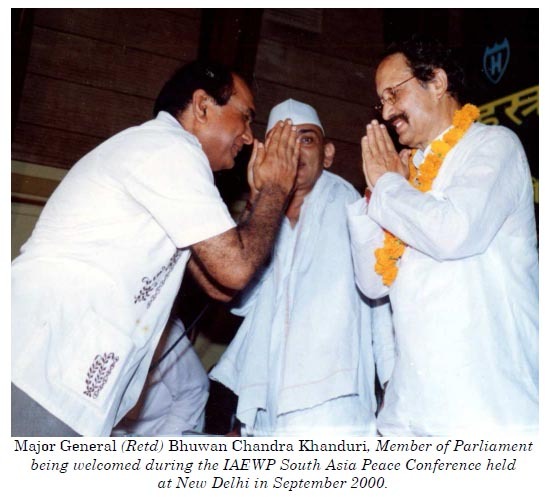 2001 - The IAEWP South Asian Chapter organizes the Peace Meetings at New Delhi, (India) and Kathmandu (Nepal) with different themes “The Culture of Peace”, “Non-Violent Conflict Resolution” and “Democratic Peace Theory”. 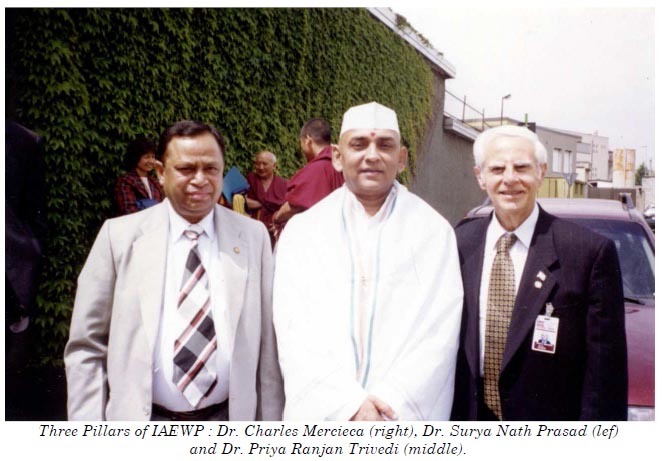 2002 - IAEWP Twelfth World Congress takes place in Taipei, Taiwan in conjunction with the Association of World Citizens to explore mutual cooperation at all levels of society to create a more stable world community. 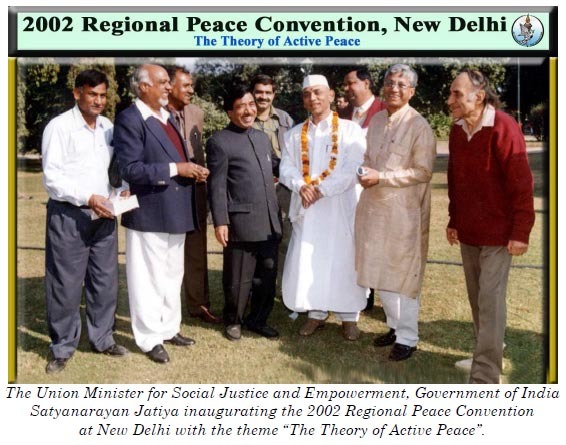 2002 - The IAEWP South Asian Chapter organizes the Regional Peace Convention at New Delhi in association with Lama Gangchen International Foundation, New Delhi (India) with the theme “The Theory of Active Peace”. 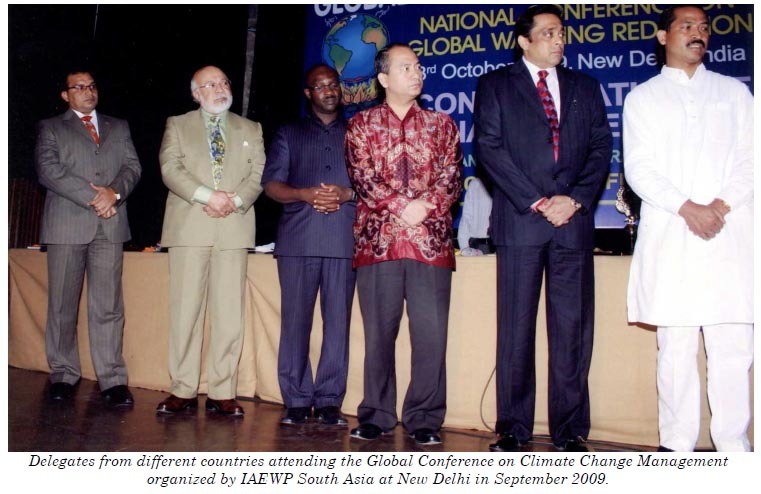 2003 - IAEWP Thirteenth World Congress takes place in Angeles, Philippines which was attended by many university professors to discuss their mission in creating global harmony for future generations. 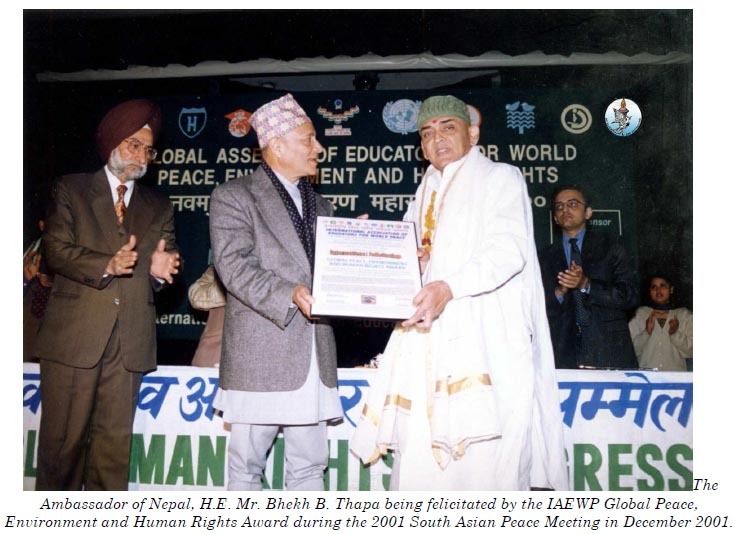 2003 - The IAEWP South Asian Chapter organizes the South Asian Regional Peace Summit at Kathmandu, Nepal in collaboration with Lama Gangchen World Peace Foundation, Italy with the theme “Population Education for World Peace”. 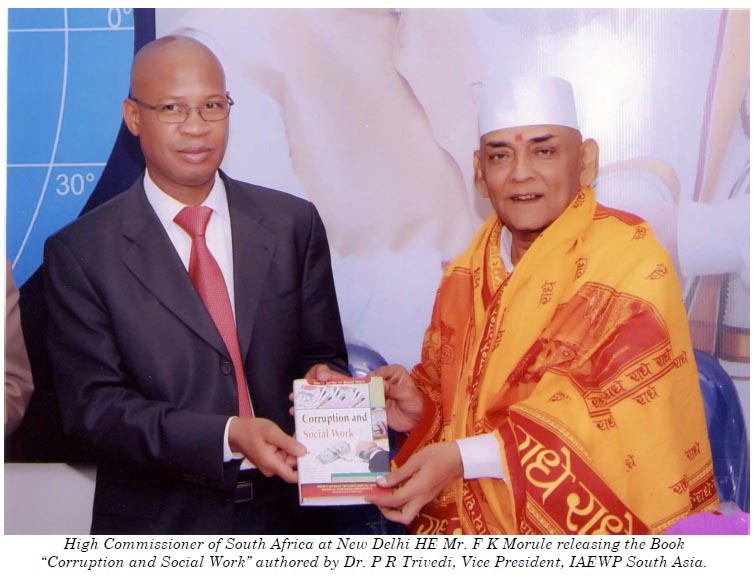 2004 – IAEWP Fourteenth World Congress takes place in Maputo, Mozambique which discussed the various problems of Africa and the importance for all the nations there to spend their money on the vital needs of the people. 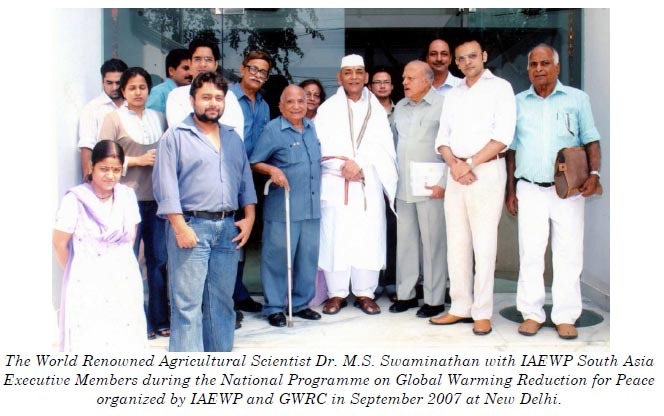 2004 - The IAEWP South Asian Chapter organizes the South Asia Summit at New Delhi (India) in association with the Indian Institute of Ecology and Environment (IEE), with the theme “Peace, Mercy and Tolerance”. 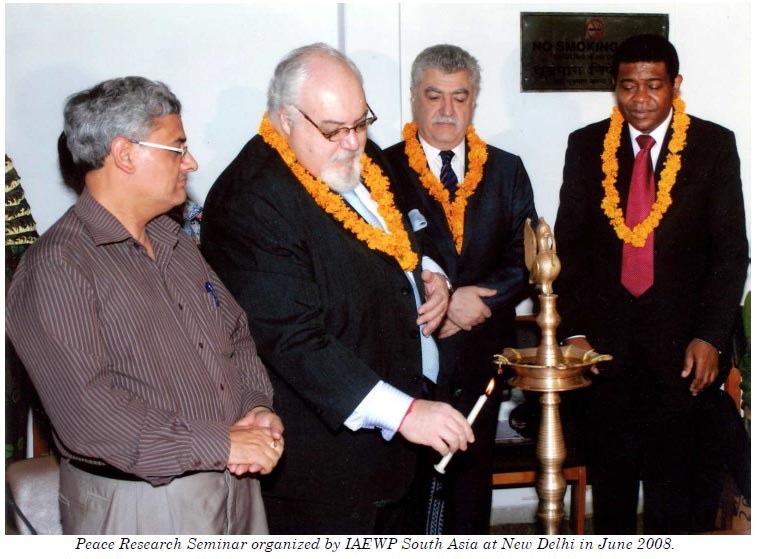 2005 – IAEWP Fifteenth World Congress takes place in Dar es Salaam in Tanzania, which was attended mostly by Africans to explore the feasibility of peace education programs in the schools of Africa. 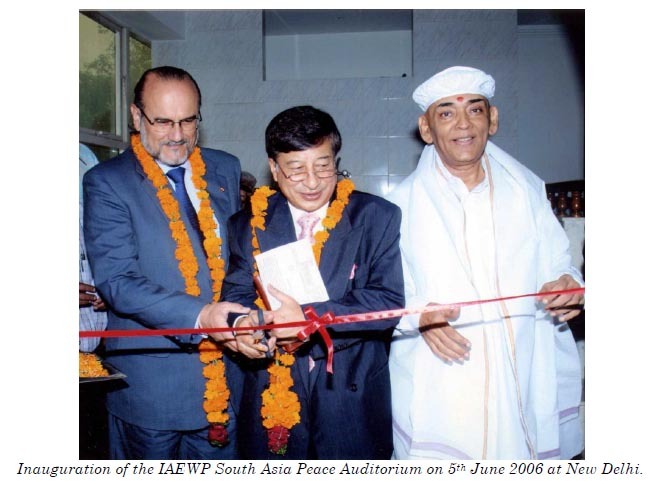 2005 - The IAEWP South Asian Chapter organizes the Peace Education Summit at Kathmandu, Nepal in association with Lama Gangchen World Peace Foundation, Italy and Buddha Institute of Technology, New Delhi (India). 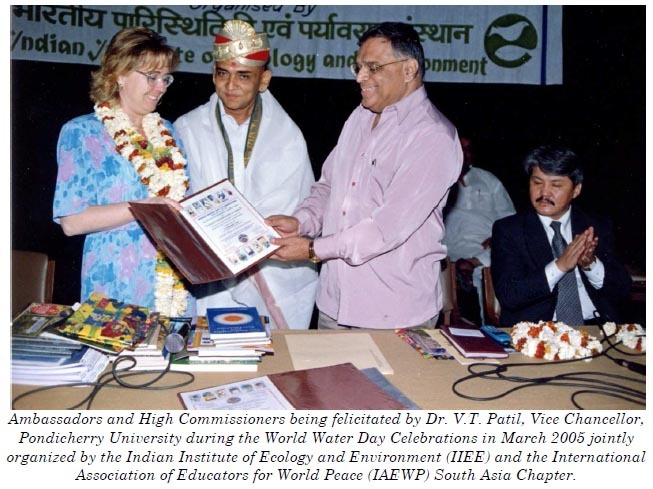 2006 – IAEWP Sixteenth World Congress takes place in Gandhinagar (India) which centered on world peace through education, which was attended by several lawyers and the representatives law enforcement agencies besides renowned judges. 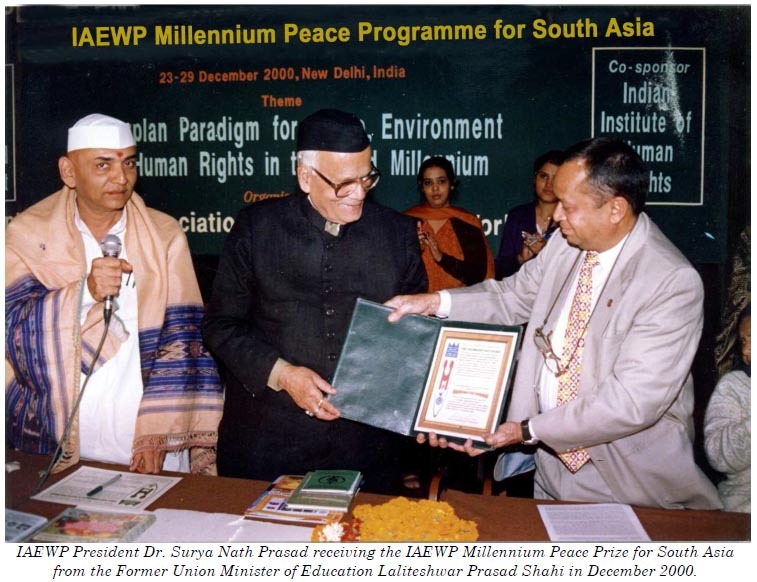 2006 - The IAEWP South Asian Chapter organizes the IAEWP Peace Conference at New Delhi (India) in association with The Global Open University Nagaland (India) with the theme “Values, Attitudes and Peace Education”. 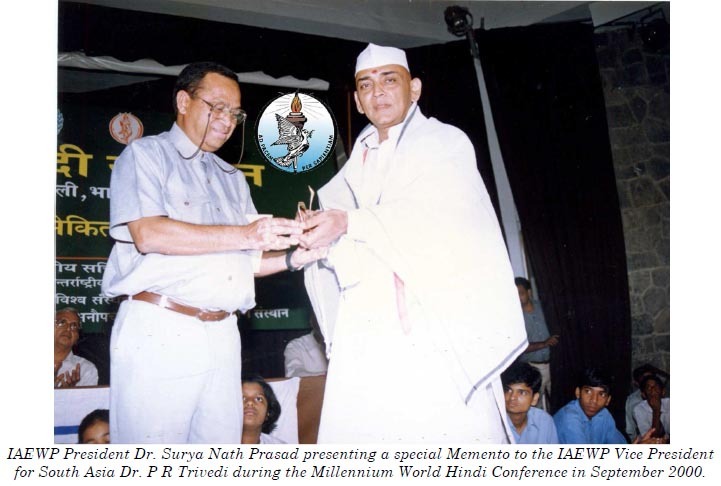 2007 - IAEWP Seventeenth World Congress takes place in Bangalore, India, which was attended by a group of intellectuals who discussed the importance of Business Ethics in the promotion of global harmony and peace. 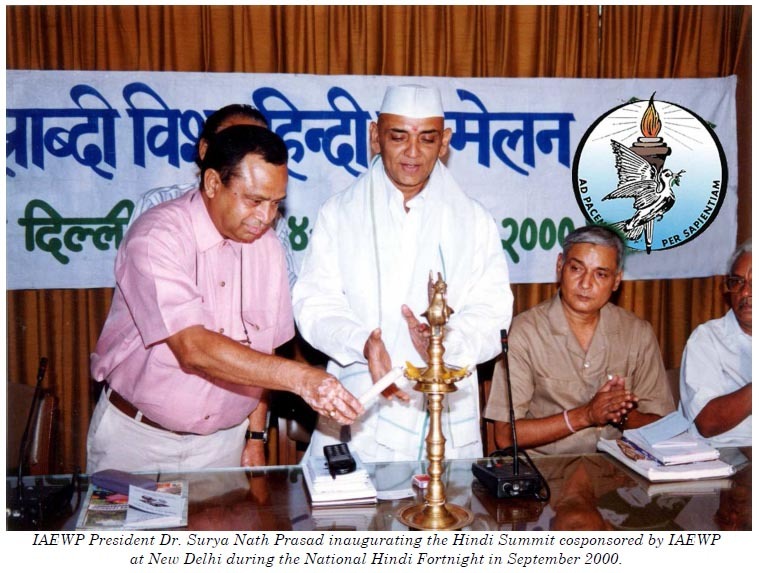 2007 - The IAEWP South Asian Chapter organizes the Regional Peace Summit at Kathmandu, Nepal in association with Lama Gangchen International Foundation, New Delhi (India) with the theme “Non-Violent Alternatives for Managing Conflicts”. 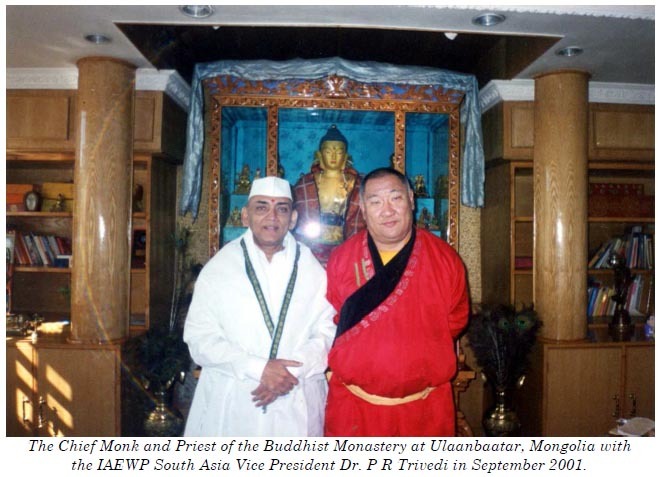 2008 - IAEWP Eighteenth World Congress takes place in Kuala Lumpur, Malaysia in conjunction with the International Federation of Martial Arts Grandmaster for World Peace (IFMAG). 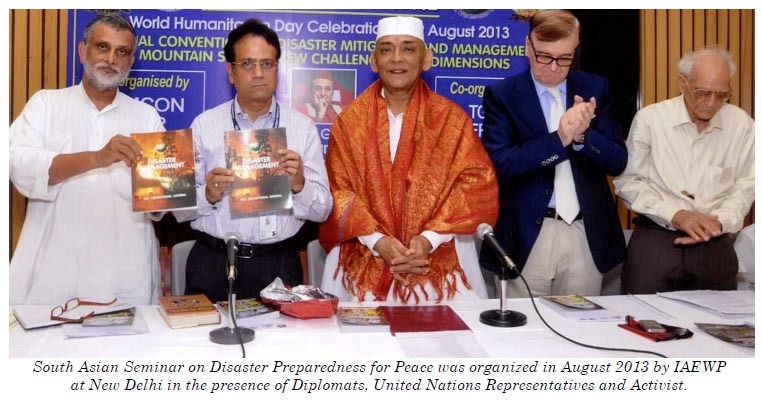 Participants from over 70 countries attended the three-day event. 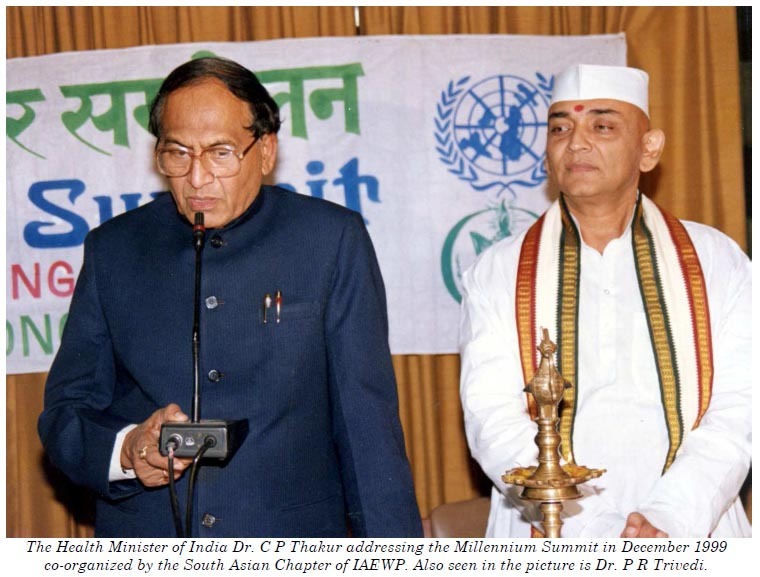 2008 - The IAEWP South Asian Chapter organizes the South Asian Peace Congress at New Delhi in association with the National Institute of Diplomacy, New Delhi (India) with the theme “Green Diplomacy and World Peace”. 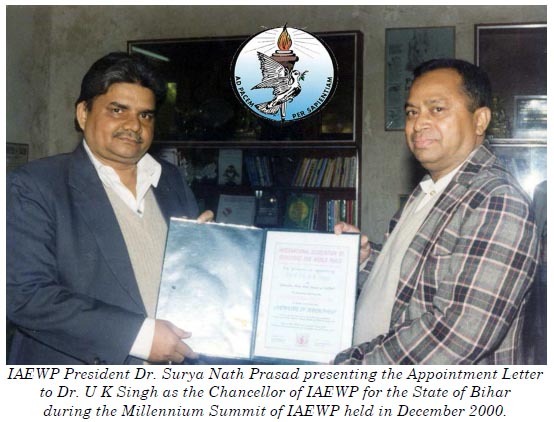 2009 - National Conferences took place in India, Nepal, France and a few other countries where the main objectives of IAEWP were discussed for purposes of more effective implementation. 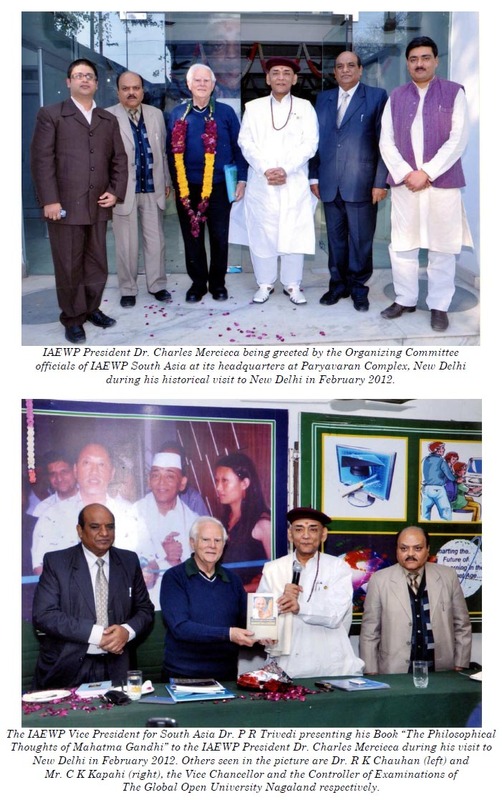 2009 - The IAEWP South Asian Chapter organizes the Regional Peace Meetings at Dimapur, New Delhi, Patna and Pune with different themes relating to Peace Education, Democracy Education, Worldview Transformation and Human Rights and Duties Education. 2010 - Peace Arts Exhibitions under the auspices of IAEWP take place in Seoul, South Korea, attended by peace aspirants interested in the promotion of world peace through arts. 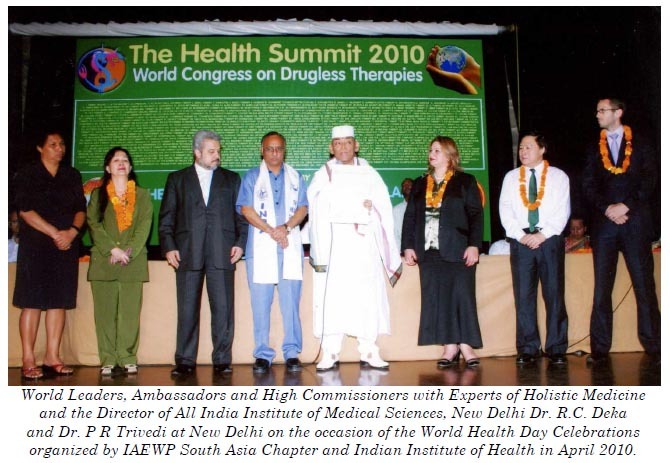 The nineteenth World Peace Congress was cancelled due to threats of SARS virus epidemic. 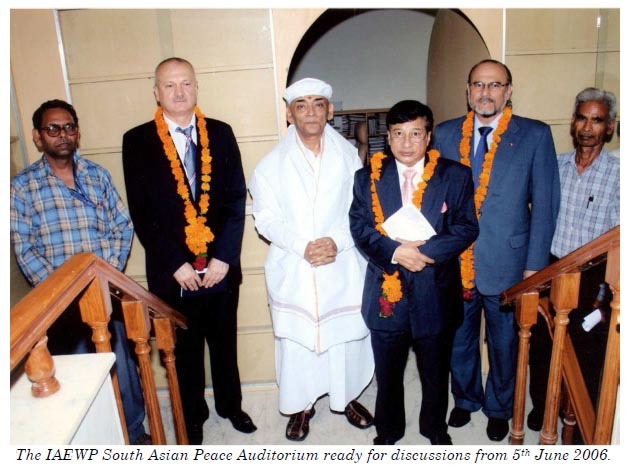 2010 - The IAEWP South Asian Chapter organizes the South Asian Peace Meet at Kathmandu, Nepal in association with the Internet News Service for India’s Social Transformation, New Delhi (India) with the theme “Anti-nuclearism, International Understanding and Coexistence”. 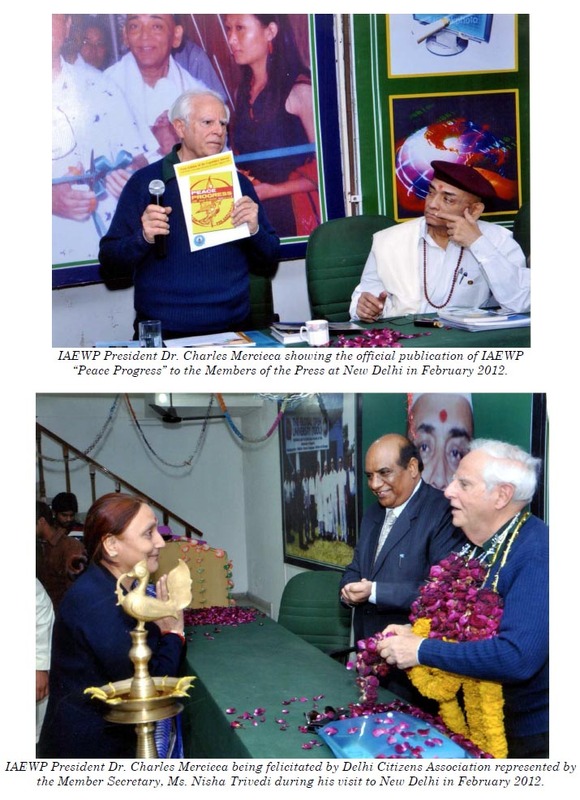 2011 - IAEWP Peace Progress Journal is published by the Office of the Vice President for Global Affairs & Strategy, in Kuala Lumpur, Malaysia and circulated free of charge to Heads of Governments, Foreign Embassies, the UN Agencies and NGOs in 193 countries under the UN Membership Charter. 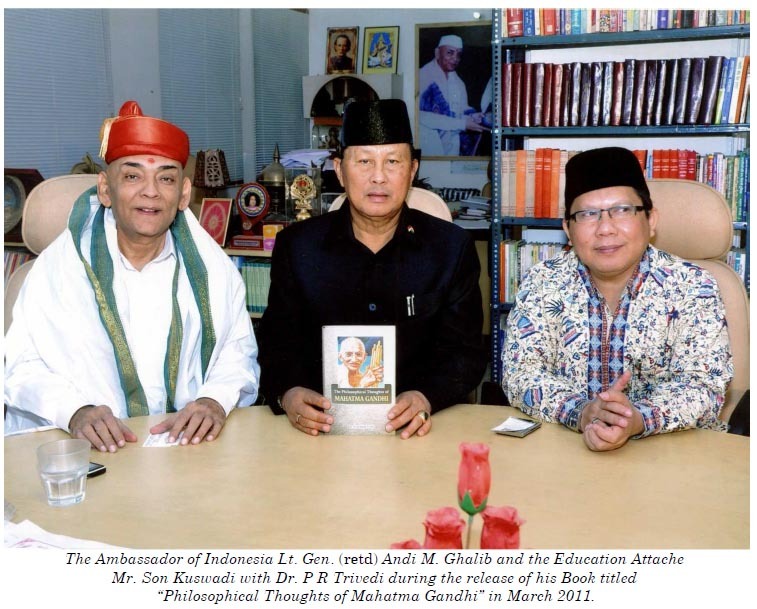 2011 - IAEWP - Project Ziarah Peace Carnival was held in Taiping, Perak, Malaysia with the Malaysian Chief of Armed Forces, General Zulkifli Bin Mohd Zin and Buddhist High Priest of Malaysia, Venerable Sri Dhammaratana as the luminaries. Over three day, an estimated 100,000 people took part in the festivities with 126 celebrities and VIPs across the political divide. 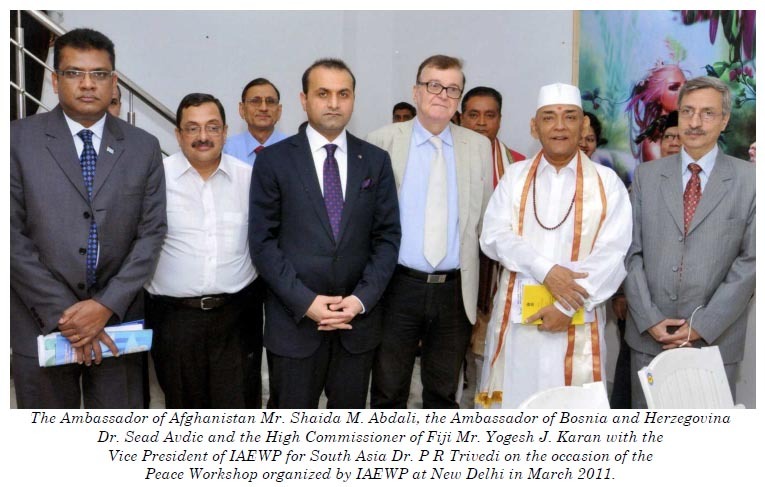 2011 - IAEWP's visit to Nobel Peace Institute. Vice President for Global Affairs & Strategy lead the Malaysian Team Ziarah for Peace to have an audience with Dr. Geir Lundestad, Executive Director and Secretary of the Norwegian Nobel Committee in Oslo, Norway. 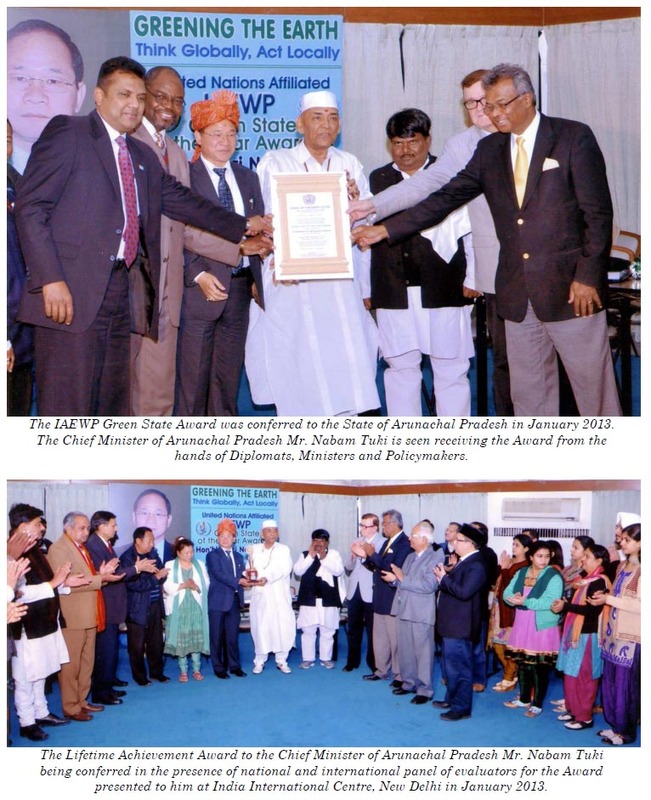 2011 - The IAEWP South Asian Chapter organizes the South Asian Peace Conference at New Delhi (India) in association with the School of Oriental Medicine with the theme “Global Peace Index”. 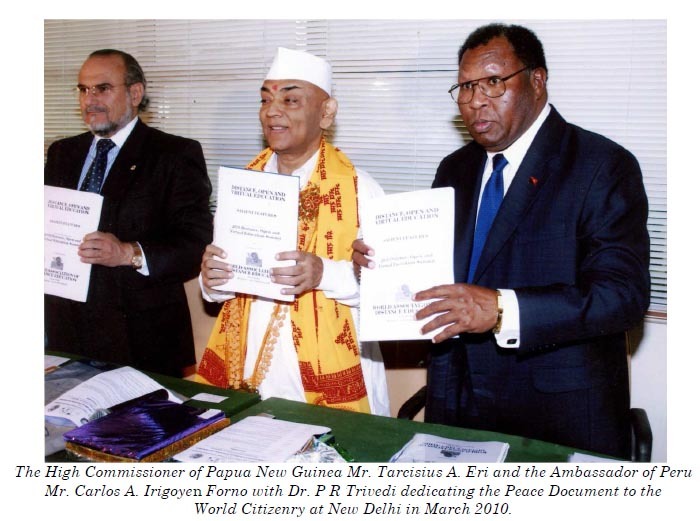 2012 - Project Ziarah for Peace becomes the New Millennium Peace Project endorsed by IAEWP to be implemented on a world-wide scale as a practical tool to enable all peace aspirants to become more fully and actively engaged as global peace makers. 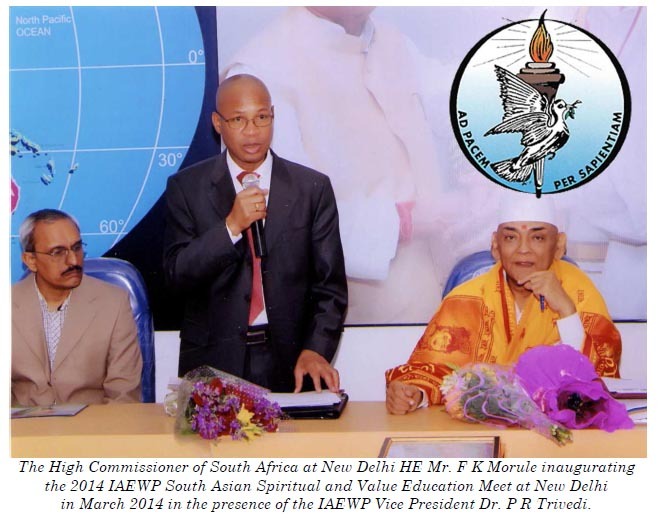 2012 - The IAEWP South Asian Chapter organizes the South Asian Peace Conference at New Delhi in association with the Indira Gandhi Technological and Medical Sciences University, Arunachal Pradesh (India) with the theme “Peace Psychology”. 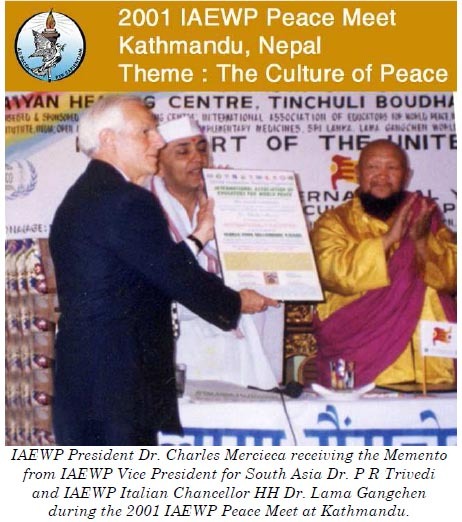 2013 - The IAEWP South Asian Chapter circulates the Kathmandu Declaration based on the Resolutions taken in the South Asian Conference on Peace Science held at Kathmandu in association with Lama Gangchen International Foundation, New Delhi. 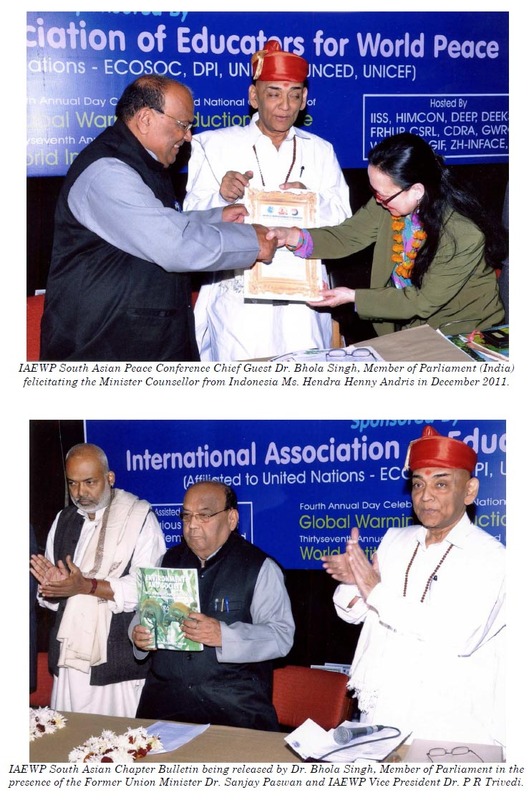 2014 - The IAEWP South Asian Chapter organized the South Asian Spiritual and Value Education Meet at New Delhi in association with the Indian Institute of Ecology and Environment (IIEE), New Delhi by inviting Ambassadors and High Commissioners of different countries posted at New Delhi.